For bookings until July 5, 2013, you get approximately 25% discount from room rates at the Aqua Palms Waikiki. Use the promo code SUMMERPALMS to obtain the discount. 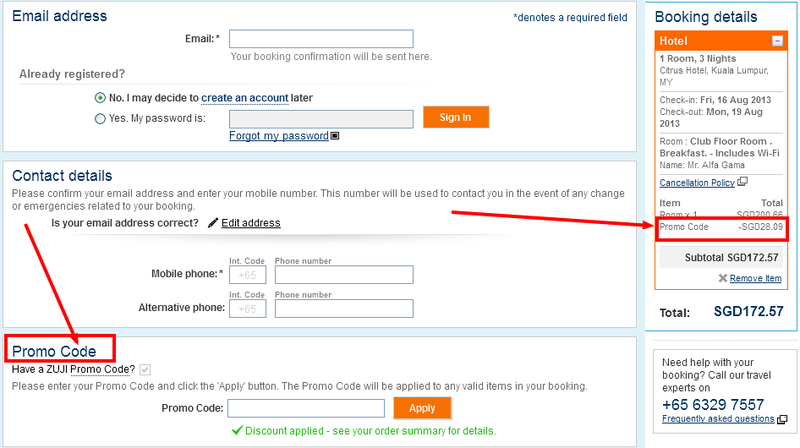 The discount code must be typed in the search form, just below the travel dates, in the field "Promo code". For example, 5 nights over the period 14 - 19 August 2013, in a partial ocean view double room, breakfast included, has a total price of 735$. The same room is sold at 952$ by booking.com. 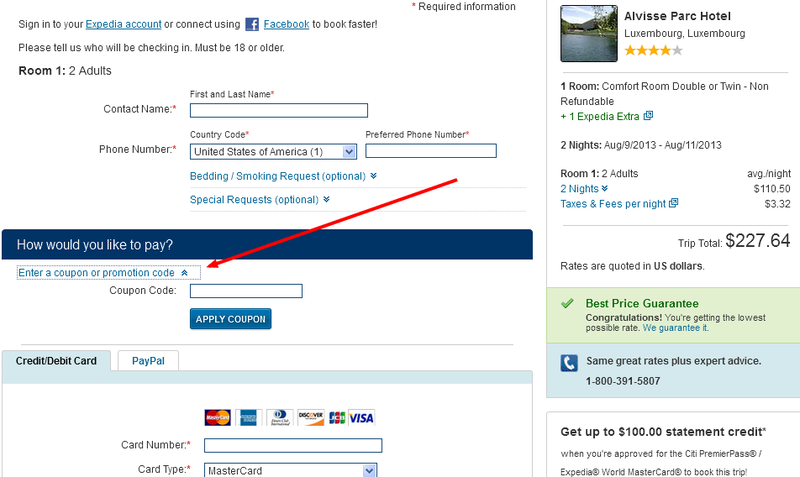 Expedia has an unexpectedly good offer: 15% coupon code for bookings until July 7, 2013 and stays until September 2, 2013. 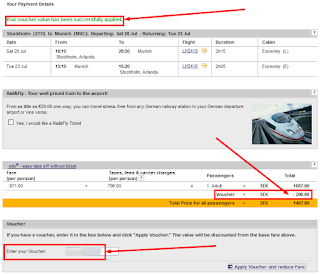 The Expedia voucher code is EXP15B . 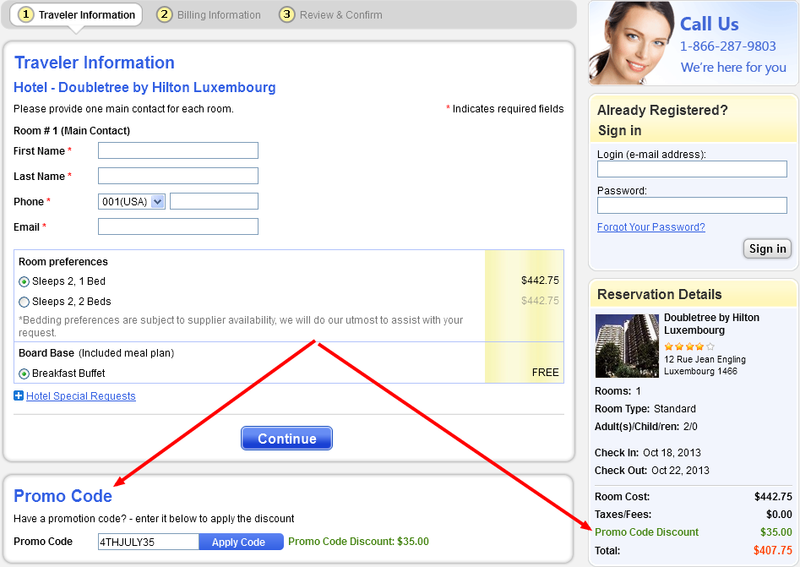 As usual, the Expedia discount code is not valid for large hotel chains (Hilton, IHG, etc.). Remember to check-out the active promotions on the right hand side of this blog, in the column "CURRENT DISCOUNTS". Priceline offers a 5% discount on top of the already slashed rates for their special Express Deal and Name Your Own Price hotels. 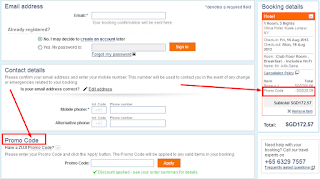 The Priceline promo code is valid for bookings until 31 July 2013, for stays throughout 2013. Type the discount code SUMMER in the field "Apply coupon" on the right side of the "Summary of charges" section in the payment window. Ramada has just launched their summer sale promotion, offering 30% discount for hotels in the UK, Europe, Turkey, Middle East and Africa. The discount is available for bookings until 31 July 2013 and stays until 30 September 2013. For example, 2 nights over the week-end 2 - 4 August 2013 at the Ramada Hotel and Suites London Docklands**** has a total price of £125. The same room is sold at £178 by booking.com. 13% Hotels.com coupon code valid for any bookings made until July 4, 2013 (for travel until October 4, 2013). To get the 13% discount, proceed to the reservation as usual, then, in the payment window, look for the section "Apply a discount code", below the total price, on the right side of the screen, type in the code and push the button "Apply". - week-ends (Thursday to Sunday) until 31 December 2013. Even better, their special rate includes breakfast (except at the hotels in Poland and the Palace Hotel in Copenhagen). Kinds under 13 stay for free. The deal is valid for members of their loyalty programme (called Scandic Friends). It's free to join, look for the "JOIN" button on the top right side of the page. For example, 2 nights over the week-end 19 - 21 July at the Scandic Berlin Potsdamer Platz**** have a total price of 128€ (breakfast included). The same room costs 222€ on booking.com. Lufthansa is currently offering a coupon for 20 euro discount on your next return flight departing from a selection of European Countries. The summer sale from Hilton is back, with 290 hotels in Europe, the Middle East and Africa. For Europe properties, book between June 21, 2013 and September 2, 2013 and stay between June 28, 2013 and December 30, 2013. Hotels4U.com (part of Thomas Cook group) has a limited-time 10% discount on all city hotels for reservations made until 22 July 2014 (stays throughout 2014). The discount is already embedded in that link and will be automatically applied - there's no need to manually type in the discount code. EasyClickTravel is an online travel agency specialised in discounted hotel rooms. They currently offer a 35$ voucher code for all hotel reservations booked until 15 July 2013, with stays throughout 2013 (minimum 400$ purchase required). New offer from Barcelo at their 4 allinclusive properties in Punta Cana, Dominican Republic. For example, 1 week all-inclusive (13 - 20 July 2013) for two people at the Barcelo Dominican Beach have a total price of 787$. The same room is sold by Expedia.com at 1 001$ (without the free airport transfer). Discounted tickets available for the 2013 European holiday: £19 for a car and 4 people each way. Valid for bookings and travel until 31 July 2013. 10% Hotels.com voucher code valid for any bookings made until July 28, 2013 (for travel until 17 June 2014). To get the 10% discount, proceed to the reservation as usual, then, in the payment window, look for the section "Apply a discount code", below the total price, on the right side of the screen, type in the code and push the button "Apply". Remember to check-out the active promotions on the right hand side of this blog, in the column "CURRENT DISCOUNTS"
For bookings made until the end of this week you get 10% discount on car hire worldwide (pick up period until 15 July 2013, a minimum 7 day rental required). They currently offer a 20€ discount on all hotel bookings with the coupon code XVNYMVJ . Click on the text code to start your search. The same room is sold at 99€ by booking.com. You can benefit from a 12% voucher code valid for hotel stays until 30 November 2013. 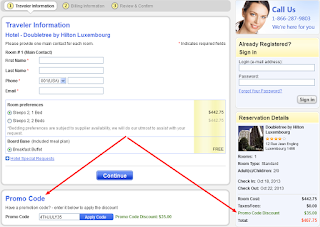 Hotel discount code from ebookers.com (Orbitz sister company). 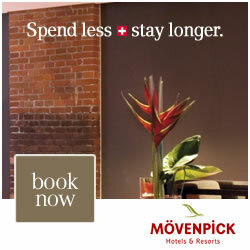 Valid for stays throughout 2013, when booked until May 26. - free VIP Admission to Pure Nightclub and VooDoo Lounge. Update: the promo code has expired. Check the active offers on the right hand side in the column "Current discounts"
Special offer including breakfast for stays throughout 2013 at some of the properties of the upscale Moevenpick hotel chain. For example, 2 nights at the Mövenpick Hotel Paris Neuilly**** have a total price of €215, being a 40% discount from the €374 charged by booking.com. CheapTickets.com (part of Orbitz group), offers a 20% hotel promo code for stays worldwide until 2 September 2013 (when booked until 23 June 2013). For stays between July 17, 2013 and September 30, 2013, you get a 15% discount for hotels, with no blackout periods (when booked until 7 July 2013). The Orbitz coupon code is SPF#15 . Offer at the Vienna Urban Resort*** from HRS Deals, at 44€ per night, including breakfast, to be booked by 20 June 2013 (stays on selected dates from June to August 2013). As an example, 2 nights over the week-end 26-28 July 2013 have a total price of 88€. That's 50% discount from the 178€ charged by booking.com. Offer at The Westbridge Hotel**** from HRS Deals, at 84€ per night, including breakfast, to be booked by 19 June 2013 (stays between mid-July to the end of September 2013). As an example, 2 nights over the week-end 23-25 August 2013 have a total price of 167€. 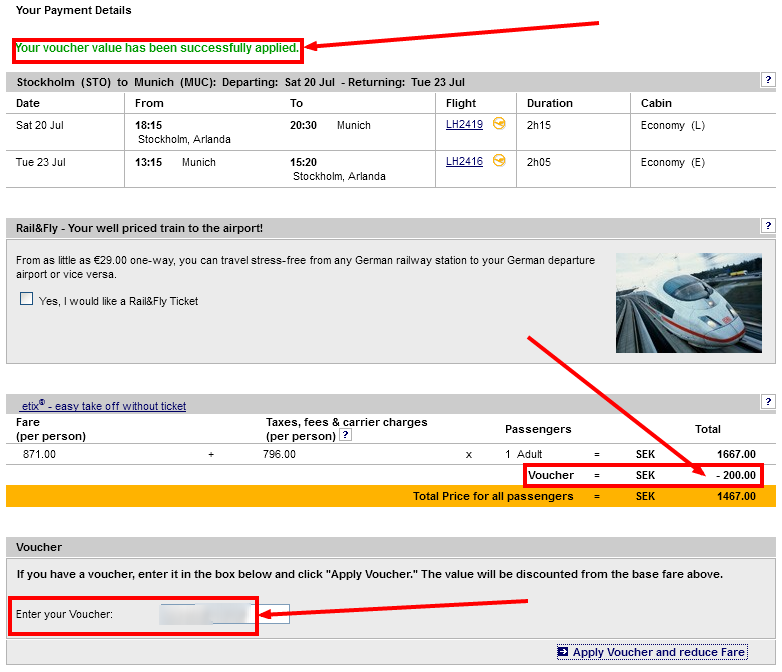 That's 55% discount from the 374€ charged by booking.com. 10% Hotels.com coupon code valid for any bookings made until June 30, 2013 (travel until September 30, 2013). Update: the code has expired. Check the right side column of the home page for active discounts. For a limited time, they offer a 12% promo code valid for hotel stays throughout 2013. The coupon must be redeemed until 30 June 2013 and flights must occur until 31 August 2013. Zuji Singapore offers a 14% discount on all hotels in Kuala Lumpur and Penang (minimum 200$ spend). Valid for reservations made until 16 June 2013 (travel throughout 2013). Offer at Best Western Farsta Strand Hotel and Conference**** from HRS Deals, at 50€ per night, including breakfast, to be booked by 17 June 2013 (stays between mid-June to mid-August 2013). As an example, 2 nights over the week-end 26-28 July 2013 have a total price of 101€. That's 40% discount from the 165€ charged by booking.com. Bahia Principe is a chain of all-inclusive resorts in the Caribbean and the Spanish Islands in the Mediterranean. They currently offer discounts at various resorts for the summer of 2013. As an example, one week for 2 persons (6 - 13 July 2013) in Punta Cana costs a total of 700€ for a junior suite. 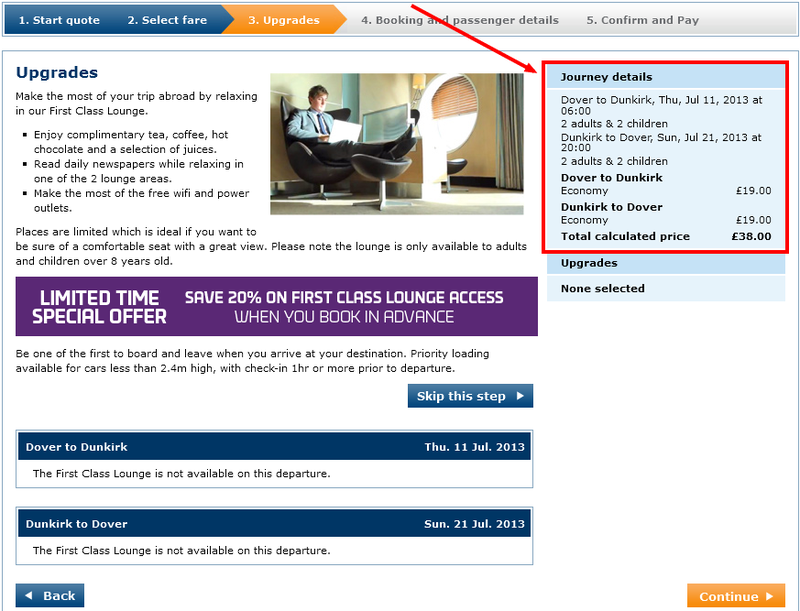 That is a 25% discount compared to the rate offered by Expedia. For bookings until 16 June 2013, return flights between Germany and many European destinations are available for 99€, for travel during the period 1 August - 30 October 2013. Sweepstakes organised by the official tourism website of Andorra (the small state in the Pyrenees, between Spain and France). The package for 2 adults and 2 kids includes transfer from airport, accommodation in a 4-star hotel and variety of activities and spa access (airplane tickets are not specifically indicated as included in the package). There will be 3 lucky winners of such a holiday package. All you have to do is to fill in the form with your contact details and you will be automatically entered into the draw. The sweepstake is open to persons worldwide. The draw closes on 30 June 2013 and holidays must be taken until 15 September 2013. Hotelopia France (part of TUI Group) offers a 10% hotel discount code active for bookings until 30 June 2013 (stays until the end of the year). In the payment window, just above the credit card information, look for the field "Discount code" and type in the code 5OMN15. They currently offer a 20$ voucher code for all hotel reservations booked until 15 June 2013, with stays throughout 2013 (minimum 250$ purchase required). 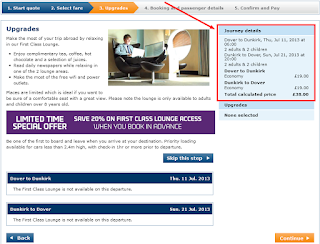 The promo code is to be typed in the section "Promo Code", just below the traveler information section. Accor Hotels offers up to 50% discount at more than 2 000 properties, for bookings until 21 June 2013 and stays between 6 July and 1 September 2013. 8% Hotels.com promo code valid for any bookings made until June 16, 2013 (for travel until September 30, 2013). To get the 8% discount, proceed to the reservation as usual, then, in the payment window, look for the section "Apply a discount code", below the total price, on the right side of the screen, type in the code and push the button "Apply". - visit of Damnoen Saduak floating market. The vouchers may be bought until 14 June 2013; reservations to be made until 7 September 2013 and tour to be taken until 31 December 2013. Contact the tour operator indicated in the offer before purchasing the voucher, to ensure they have availability for your preferred date. CheapTickets.com (part of Orbitz group), offers a 20% hotel promo code for stays in the USA until September 2, 2013 (when booked until June 16, 2013). We have already used HipAway to book the 5-star Hilton Budapest Westend for 54€, or the 4-star Hotel Galilei in Pisa, Italy for 49€. They currently offer a 14% discount on all hotel bookings made until 30 June 2013 (stays throughout 2013). The HipAway coupon code is HIPDEAL14 . For smaller value bookings, you can also use this code for 10€ discount: WEB10 . 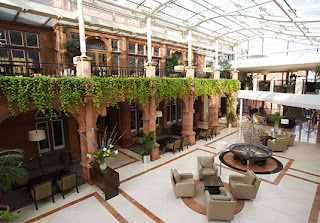 Offer at Hotel Windsor*** from HRS Deals, at 81€ per night, including breakfast, to be booked by 12 June 2013. As an example, 2 nights over the week-end 19-21 July 2013 have a total price of 162€. That's 55% discount from the 348€ charged by booking.com. For bookings until the end of June 2013 (stays anytime during 2013) you get 5% discount using the OnHotels promo code JUNE05. Great offer from SWISS Airlines for travel from Switzerland to many European destinations. Other great fares to travel to Venice (CHF 159), Florence (CHF 179), etc. They currently offer a 50 Australian Dollars discount for purchases of minimum 350 AUD.